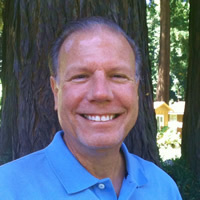 Clifford Bast, former Corporate Environmental Sustainability Director; Flextronics International Ltd.
Clifford Bast has more than 30 years' experience in numerous corporate environment, health and safety (EHS), and sustainability program leadership roles. He most recently served as Corporate Environmental Sustainability Director for Flextronics International Ltd., where he led the company's regulatory and market intelligence, carbon disclosure and environmental metrics cross-functional teams. He is knowledgeable about the skills EHS professionals need to meet the ever-increasing demands in business and other organizations. From 1982-2002, Mr. Bast led and contributed to virtually every aspect of Hewlett-Packard's widely recognized EHS, Product Stewardship and sustainability programs. He also contributed to sustainability program development at Acer and Gateway, and helped draft the Electronics Industry Code of Conduct through his consulting firm, BAST-SustainGroup LLC. He is a co-founding Board member and Technical Advisor to the Executive Director for the Green Spa Network, which now has more than 260 members. Mr. Bast has a Bachelor of Science degree in Chemical Engineering from the City College of New York; a Master of Environmental Engineering degree from Cooper Union; and an MBA in management from Fairleigh Dickenson University. Going forward, he plans to re-establish his consultancy and focus on enabling organizations to reap business and societal value from sustainability.